At the end of your turn, if three or more creatures died this turn, put a random Blood Magic Spell into your hand. 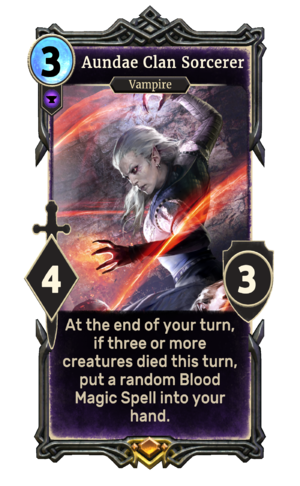 Aundae Clan Sorcerer is a legendary Endurance creature card. It is part of the Houses of Morrowind expansion. "We draw power from their blood."